When devout individuals connect so closely with God that they achieve a mystical union, scholars look at how that experience compares to those of mystics across eras and faiths. 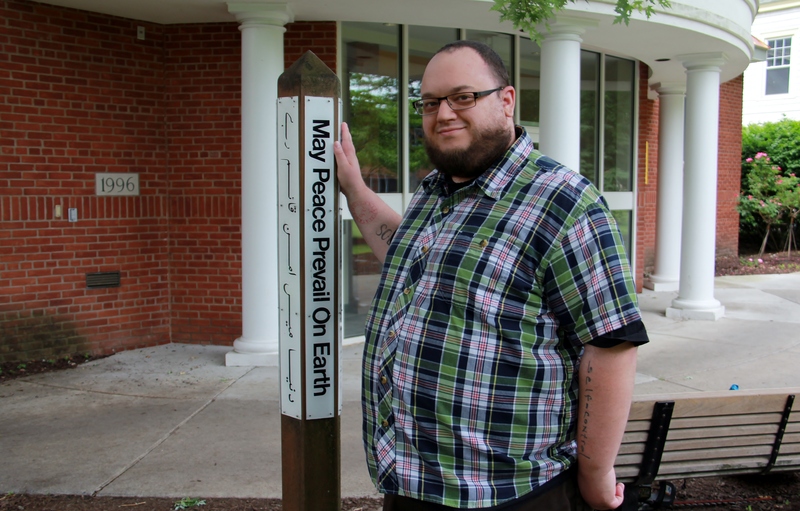 We are more alike than we realize: The peace pole outside the Hubbard Interfaith Sanctuary reflects the lesson religious studies major Dan Haglund is learning as he compares and contrasts the experiences of two mystics of two different faiths who lived 400 years apart. 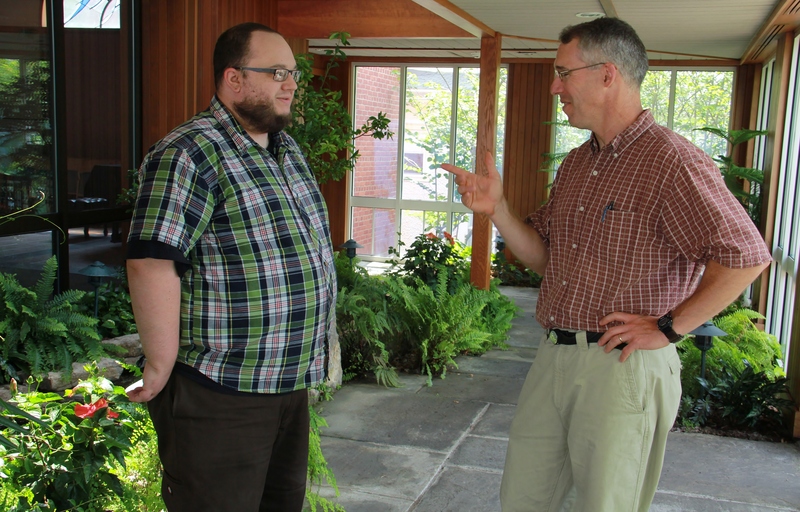 Haglund is among the Saint Rose undergraduates who has devoted his summer to original research using College-funded grants. 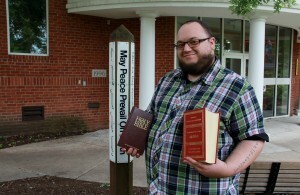 Last fall, Haglund took part in an independent study of Catholic mystics. 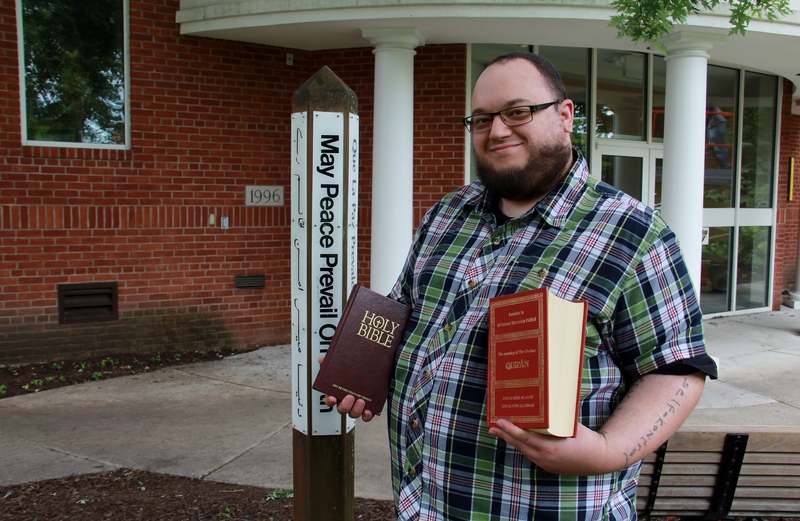 With the summer grant, he went further, comparing the experience of an Islamic mystic from the eighth century to that of a Catholic mystic who lived 400 years later. Not only does Haglund’s examination cross religions, geography and centuries – it is also distinctive because the subjects were revered women, Rabi’ah al-‘Adawiyah and Julian of Norwich. 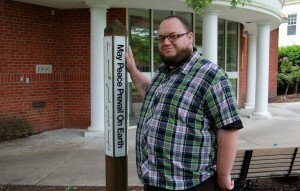 Now, Professor Jeffrey Marlett can learn more about the topic of mysticism from a student, Dan Haglund, thanks to Haglund’s focused summer research. They hope to publish Haglund’s detailed paper. Haglund did an extensive study of the lives, religions and writing of Rabi’, an Islamic mystic from Basra, and Julian, a Catholic mystic who lived in England, to see whether they followed a similar process. In his 24-page paper, which he hopes to publish, he identified many common variables despite the vast differences in their belief systems. His paper also highlights the prominent role the women played in their male-dominated religions. Haglund is one of seven Saint Rose undergraduates awarded summer grants. He said the experience only made him want to continue the work and pursue his studies in graduate school. I’m always interested to know what people find in common in each other rather than their differences. Glad to hear Daniel is working on this project. Look forward to seeing the final paper.